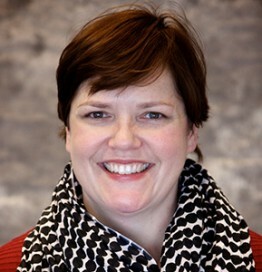 Margaret Anderson Kelliher is the President and CEO of the Minnesota High Tech Association (MHTA). Together with the associations 350 member companies and organizations, Margaret works to fuel Minnesota’s prosperity through innovation and technology. United behind a common vision to make Minnesota one of the country’s top five technology states, MHTA members represent various technology sector, including IT, bio-sciences, advanced manufacturing, clean, green and edtech. Prior to MHTA, Margaret served in the Minnesota legislature, including two terms as Speaker of the Minnesota House of Representatives. Characterized as the “calm inside the storm” by the Star Tribune, Margaret has demonstrated she is a strong, pragmatic leader. As House Speaker, she guided passage of a nation-leading renewable energy standard, built a broad coalition to enact Minnesota’s first comprehensive transportation funding bill in twenty years and was a champion of Minnesota’s Angel Investment Tax Credit. Margaret chairs the Governor Dayton’s Broadband Task Force, as well as the Minnesota Ballpark Authority Board of Commissioners. In 2014, she was elected vice chair of the Minnesota State Colleges and Universities (MnSCU) Board of Trustees. Margaret teaches at the University of Minnesota’s Humphrey School of Public Affairs and serves on the Board of Directors of the Greater Twin Cities United Way and the Textile Center of Minnesota. Margaret graduated with a B.A. in Political Science from Gustavus Adolphus College. She earned her Master’s in Public Administration from the Kennedy School of Government at Harvard University. Margaret and her husband live in Minneapolis; they have two college aged children.